“Let all things be as they will. Sam Amidon opening for Bon Iver! This is great news. Find Sam Amidon’s full tour here. 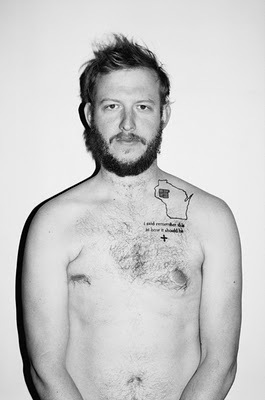 This Ten Song Tuesday features some of the wonderful tracks that Justin Vernon has collaborated on. There are also a few tracks by Samamidon and Nico Muhly, whom Sam Amidon collaborates with on many of his albums. Plus, there are a few more tunes on here that I just can’t get enough of lately.